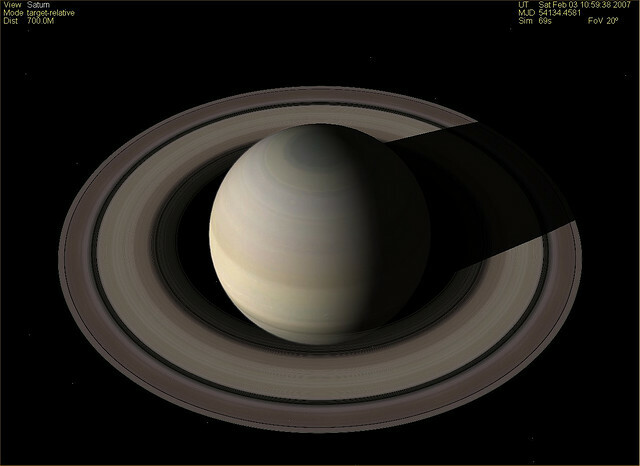 Saturn, the only planet with rings in our Solar System, has 53 moons! Imagine that! Most of Saturn’s moons are small like our Moon. However, one of its moons called the Titan is as big as a planet. Titan is the largest of Saturn’s moons and the second largest in our Solar System. Saturn’s moons have an icy surface with large craters. They have been formed by meteors crashing against them. So, Titan is similar to the other moons in that way. But some things make this giant moon quite different. If Titan went round the Sun instead of Saturn, it would have been a planet of our Solar System. It is as big as the planet Mercury. Unlike other moons, Titan has a dense atmosphere. It is filled mostly with Nitrogen. Nitrogen is the main gas in the Earth’s atmosphere too. Like Earth, it even rains on Titan. Although, the rain is not made of water. The raindrops are formed from liquid methane, a natural gas that is present in Titan’s atmosphere. Methane exists on Titan in three states – liquid, gas and solid. This is similar to water on Earth that exists as liquid, vapour and ice. 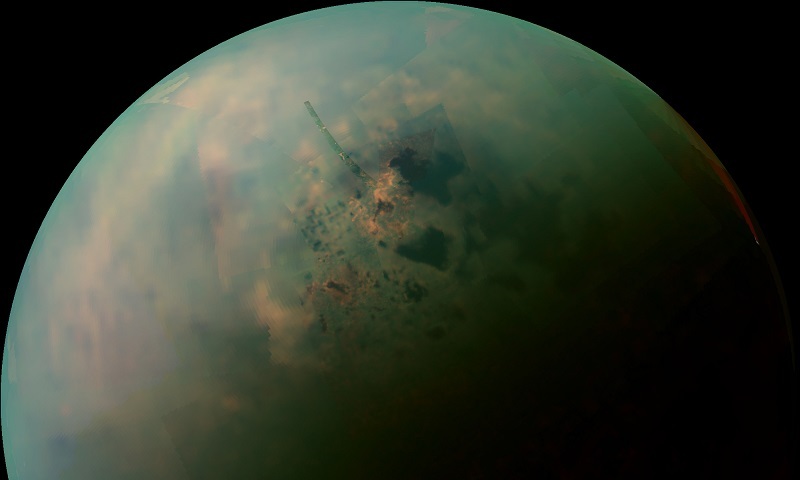 Titan has lakes and seas made of liquid methane. It has rivers that form due to rainstorms. The lakes are as big as the great lakes in the US. Titan even has continents like we do. And volcanoes that spew ice instead of hot lava. This moon has seasonal changes as well. However, it is a very cold place. The temperatures usually fall 180 degrees below zero degree Celsius. Scientists believe that if Titan became warmer, it would be able to support life. A Dutch astronomer called Christiaan Huygens first found Titan in 1655. And yet, very little was known about this Saturn’s moon until 2004. It was difficult to look through the haze that envelopes Titan. The thick orange hazy cloud is a result of sunlight acting on the Methane. 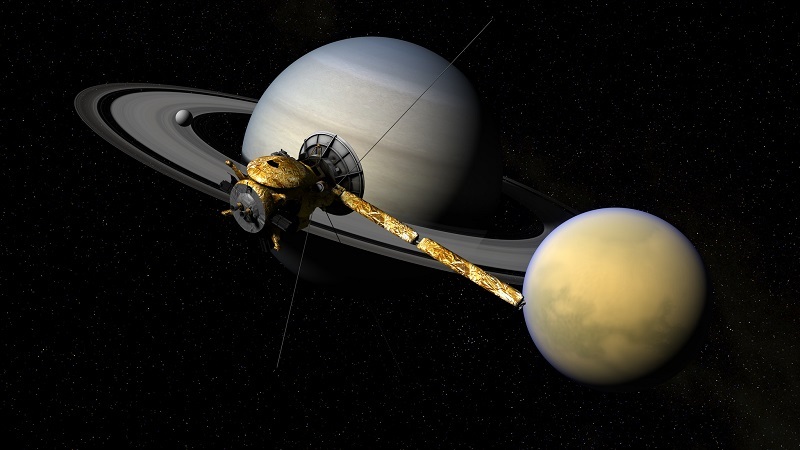 In 2005, the Cassini-Huygens spacecraft by NASA flew to Titan. 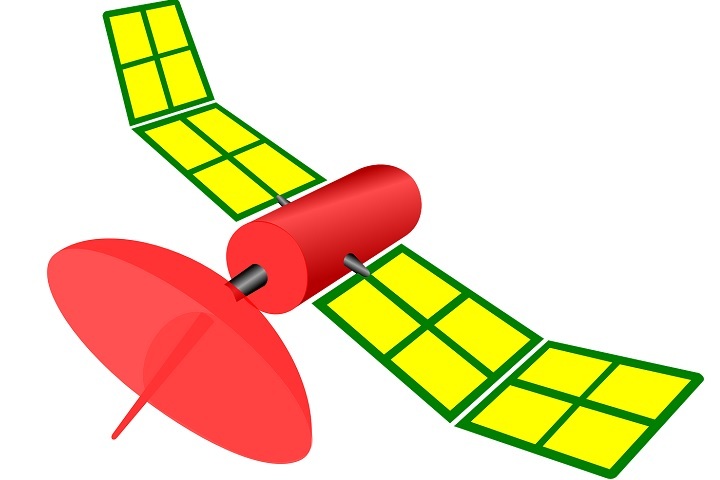 Winds blowing at over 100 km an hour shook the spacecraft as it made a landing. It took the spacecraft two-and-a-half hours to complete its descent. The Huygens probe found the landscape rocky and frozen. Among other features were huge dunes made of a type of organic sand. Organic sand is made of Hydrogen and Carbon. One example of an organic stuff found on Earth is coal. Titan takes 16 days to complete one circle of the Saturn. You can easily fly on Titan with a pair of wings. 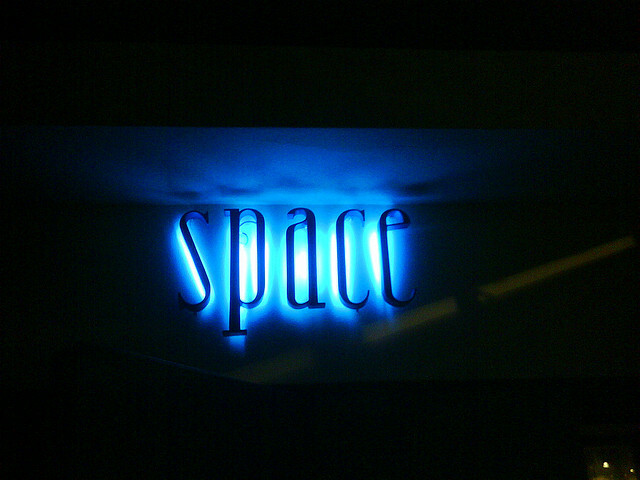 The thick atmosphere makes flying as simple as walking. The mythological brothers and sisters of the Greek God Cronus gave Titan its name. Several spacecrafts have flown close to Titan, but only one has landed on it. That’s the Cassini-Huygens spacecraft. The next mission to Titan is planned for 2020 by NASA/ESA.